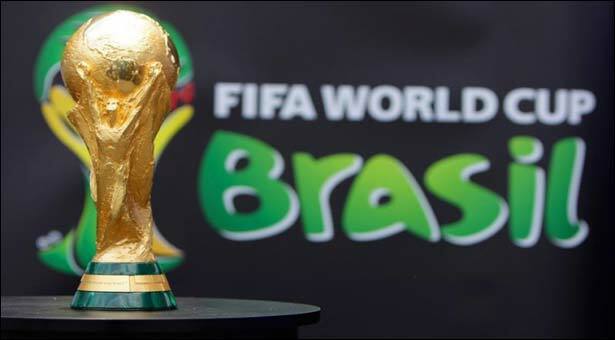 The excitement of the 2014 FIFA world cup is at a fevered pitch and I have long since caught the fever! Anyone who’s even remotely close to me knows that I love some good football. I am the type who would stay at home all Saturday watching one English premiership match after another. (Yes! I love football that much), so to have a whole month of uninterrupted top level action of the beautiful game has sent me into some sort of contained frenzy, especially as it is now 24 hours into the opening ceremony! It is no longer news that Nigeria has been grouped along with Argentina, Bosnia- Herzegovina and Iran, and many Nigerians (including me) expect that we should qualify from this group without too much hassle, though I’d rather we didn’t underrate any of these countries, particularly Bosnia who beat the highly rated Ivory Coast and Mexico during the international friendlies. The big boss Stephen Keshi has named his 23 man squad to the world cup finals, and we are condemned to giving them our full support whether we have reservations about the inclusion of certain players or the exclusion of others. I will the Super eagles to do well by making it to the quarter final stage at least, a feat we have never achieved before…but beyond that the I am thrilled that the greatest footballing talents on the planet will be on display, from the poaching skills of Chicharito to the lethal left foot of Robin Van Persie, from the bullish runs of Yaya Toure, to the precision of Luis Suarez in front of goal, from the mesmerizing skills of Lionel Messi, to the tantalizing trickery of Christiano Ronaldo, the 2014 FIFA world cup promises to be interesting and exciting! It hardly matters that Brazilians have been protesting against hosting the world cup, It hardly matters that Sao Paulo the host city for the opening ceremony and third largest city in Brazil has been battling a major dengue fever outbreak since the past month, or that Brazil as a country has the highest incidence of dengue fever in the world. By some magical mystery, all these problems will be relegated to the background once the tournament kicks off. On my own part as a football fan, I have taken it upon myself to make sure nothing (and I mean absolutely nothing) deprives me of my God given right to see at least 60 percent of the matches to be played. My DSTV subscription must be sorted till the end of the tournament even If it leaves me broke. This is not the time to take chances with PHCN…there must a steady supply of fuel to keep the generator running at all game times, and woe betide any generator that decides to develop a fault at this time! The world cup is here, no distractions are allowed. The world cup is here, all worries are forgotten for now. The world cup is here, all other activities and events must take a back seat. The world cup is here! Leggoooo!!! P.S: Let me use this opportunity to apologize to my friend, Jumoke who has had to endure sudden outbursts of excitement caused by my world cup fever, I’m sure you understand (at least a tiny bit). This apology is not to say that the shouts will stop, on the contrary I am only prepping you for what’s to come within the next 30 days! Lolade and football! Hmmm. My lips are sealed. It’s not a bad fever to have really an the truth is that the fever spreads as the tournament progresses. I hope the super Eagles do well but it’s difficult to bet on them. Perhaps by a miracle like the nations cup last year, they will go far enough for good commendation. By and large I tip Spain, Brazil or England to win the tournament while Cameron will be the most successful African team. Thanks for sharing Lolade. Still a little in wonder where or how you developed your love for football. Thanks sir, I guess I have always liked football, but the active following started during the France ’98 world cup while waiting to gain admission into the University. Fingers crossed for the super eagles to do well. Surprised you like football. You really hit the notes again. I like where you said despite all the problems of brazil it will not stop the tournament from being a sucess. When I heard in the news that police and transport workers went on strike, Iwas thinking if brazil is ready. Will this be the 1st time a plan B host will be activated. Even stadium readiness made me wonder too. All is a distraction. I knw the tournament will be colourful and a success. Nigeria had better learn because this brazil nation was no were near nigeria as a country back in the 1970s and 80s. Now brazil is in the trilion dollar GDP club. Sometime that was exclusive to the likes of us uk france and co. Let’s not forget brazil hosts the biggest sports events in two years time also. Nigeria must wake up from this. Here is my prediction of the world cup outcome following last years draw. Football is a game I don’t enjoy. Its a nice game for males n females that enjoy n understand the rule of the game n all it entails. I hope Nija wins tho I’m sure I won’t watch. One thing I’m certain of is the yells n screams from my neighbor’s. Im fortunate my hubby dislikes football so I don’t have to force myself to watch it. Interesting one Anwuli, never mind some of us will do the entire watching for folks like you who can’t be bothered about football. Thanks dear! Unfortunately, I hardly find ppl in the part of the world I live who care or are enthusiastic about football. In fact they say it’s a game for the sissy or Gay men, and they hardly show the games on TV. I can imagine Oyin, don’t mind those Americans who call our beloved football soccer. Let the games begin! Great writeup Lolo. I admire ur love for football. May av caught the fever too…. cos I want to be a part of this excitement. Hope to be a football fan someday :). Let the games begin….. Thanks Dayo! Trust you will enjoy the matches. Awwww. Thanks Tosin. Honoured that you take out time to read my blog. Thanks once again. I’m reading this quite late. . . And yes, I completely agree with all the hype and frenzy coming with this. In as much as Demons like PHCN and even Multichoice (by prematurely scrambling subscription when its actually not due at allllll) have tried to ruin the World cup blues with their reggae, I have had a swell time so far. As for the Eagles. . . They have so far left me “wowed!” Esp with the game with Argentina. I surely do wish them well and pray fervently they go very far. . Who sayz we can’t lift the much coveted trophy sef. . Hehehehehehheehe. God bless the eagles, God bless this blogger, God bless all football loving fans! Yes o! Our Super Eagles haven’t done badly so far…fingers crossed for the 2nd round match against France. Thanks Abayomi. What can a girl do na…you know this particular one comes only once in 4yrs, that’s why I’m trying to make the most of it. Lol @ “refuse to stress this beloved heart of mine.” Thanks Biodun.